RiseUp Week is a local hackathon that will be held from 14-16 February in four governorates in Upper Egypt which are Menya, Assiut, Qena, and Sohag. Participants will work on an idea that solves a problem in Upper Egypt. 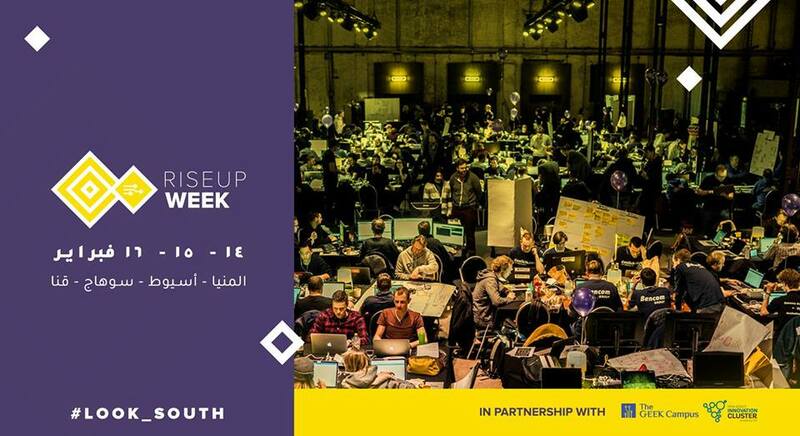 It will be followed by a final hackathon in Assiut from 14-16 March where the top three teams will receive awards that are worth EGP 60,000 and it will include a startup exhibition and different talks about technology, design, and business. To know more details, click here, and to register, click here.